Located on a paved road just south of Baldwin City, Ad Astra Alpacas raises friendly elite-fleece alpacas and sell products made from their fleece within their on the farm store. 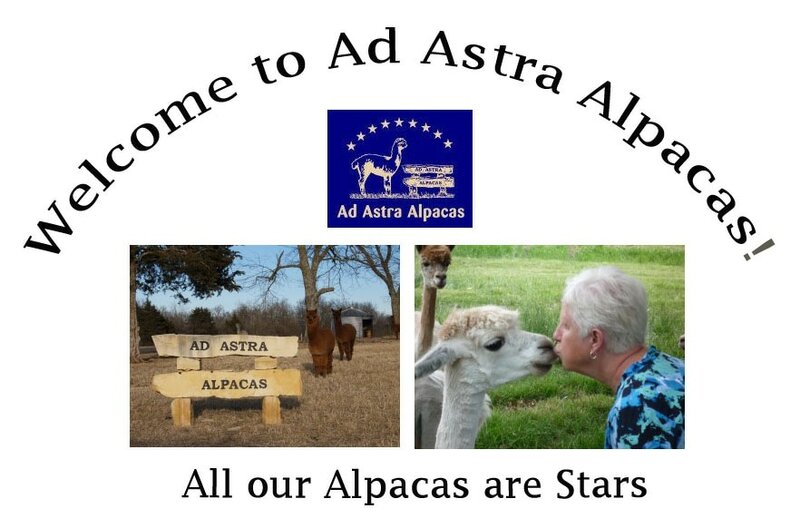 Ad Astra Alpacas goals are to raise friendly alpacas, improve the fleece characteristics with each new generation and provide wonderful products form the fiber they harvest each spring. Ad Astra's Annual Open House is the first weekend after Thanksgiving from 10am-5pm. Kick off the holiday here! www.AdastraAlpacas.com Find us on Facebook! Blossom Trail Bee Ranch lies above the Little Wakarusa Creek. With three soil types on their west facing 10 acres, garlic , onions, and leeks abound in the loamy creekside. An adherence to the organic method in all horticultural practices insures a balanced diversity of forage sources for the bees. To compliment their apple trees, numerous peach varieties and black berries were added. Larger eggs and improved laying capacity are the focus of the vertically eclectic chicken flock. Out yards of bee hives give as many as five sources of nectar for distinct flavors for artisan honey. Honey production is the staple good but pollen production and queen rearing are also primary functions at the farmstead. Blossom Trail Bee Farm also sponsors and instructs many programs for the aspiring beekeepers and to learn what must be done to enable a better future for the honey bee. The vineyard was first started in 2002 with our initial planting of Nortons (Cynthiana). Following years saw the addition of more Norton, St. Vincent, Seyval, Chambourcin, Fredonia, Leon Millot, Vignoles and Melody vines. The vineyard now covers approximately 8 acres in Eudora, Kansas, located in the Northeastern corner of the State, 4 miles east of Lawrence. Our Tasting Room opened in May 2008, and we look forward to sharing our wines with you. We feel very fortunate to have received the permission of Native American Artist, Brent Learned (Arapaho given name - Haa-Naa-Jaa-Ne-Doa), to use one of his original paintings for our label. Brent is an impressionist painter from Oklahoma whose art reveals the life and culture of the plains Indians in brilliant and inspiring colors. Come visit us and discover the beauty of Kansas farm wineries! We are committed to growing and providing delicious, quality, affordable fruits and vegetables in alliance with local farmers and the community at large. Craig and Nedra Mitchell, owners of Clearfield Farmhaus, are committed to providing products, services and experiences that we believe people are seeking and, in fact, craving – a simple, healthier, happy lifestyle. We feel there are some very basic principles and values that will help our customers achieve this. Also fresh baked goods in this beautifully restored farmhouse will remind you of simpler times. Welcome to Coal Creek Farms and the Simple Life Country Store where we offer quality alpaca clothing, alpaca products and classes on location at Coal Creek Farms. Our working farm is located in northeast Kansas approximately 5 miles southeast of Lawrence. It consists of 175 acres of lovely rolling hills, pastures and woods. We provide a quality horse boarding facility and offer luxurious alpaca products made from the 65 Huacaya and Suri alpacas who call the farm home. Alpaca fiber is hypoallergenic, softer, and three times warmer than sheep wool. We stock and offer a variety of quality alpaca products. We also raise open range laying chickens producing farm fresh eggs ,pasture grazed cattle providing grass fed beef and heritage hogs. Country Road Farms is a division of Knabe Farms. It was started 3 years ago after Jamie left her job. Jamie decided to venture into selling their meat and eggs at local farmers markets. On occasion you may also find fresh baked pies, sweet breads and cookies. Keith and Jamie where both raised on working farms and have had their own working farm for 20+ years where they grow wheat, corn, soy beans, grass hay, alfalfa and livestock. In 2014 they added all natural turkey’s and in 2014 added meat chickens to go along with the beef and pork. In 2018 you can find us at 4 Farmers Market’s, Eudora, Fresh Promise in DeSoto, Cottin’s Hardware in Lawrence and Perry-LeCompton in Perry. This summer their grandson’s Keaton and Lucas will also be going to market with Jamie. Keaton is a very good salesman and enjoys talking to people. Of course, Grandma is hoping this will make them continue in years to come. All animals are raised all natural, no growth hormones no antibiotics. Our goal is to raise the leanest and healthiest meat for your family and ours. We want people to enjoy eating our meat and eggs from first bite to last. We hope to see you on the Kaw Valley Farm Tour. Remember to bring your coolers and cameras. NOW OPEN on site store! Oct 6 chuck wagon breakfast, biscuits and sausage gravy made by “Cookie” right out of a cast iron skillet Oct 7, breakfast. Both days breakfast will be made with our farm raised meat, eggs and other local ingredients. Lunch , Oct 6 & 7, homemade turkey and noodles, chili and hot dogs. Using our own farm raised meats and other local ingredients. Concession on both days. Dancing Cow Farms was established north of Wellsville, Kansas in 2010. Focusing on sustainable low maintenance beef production they chose to start with a herd of 7 Scottish Highland Cattle on the 67 acre homestead. Their focus is on providing the highest quality livestock and beef to the surrounding area. In 2017 they expanded operations and are now home to Kiko and Boer goats, Mini Donkeys, an assortment of Rabbits (Flemish Giants, English Lops, Mini Rexes) and a few chickens, ducks, and turkey. Whether you are looking for grass fed beef or pasture raised goat for the dinner table, wanting to start your own herd, needing an animal for 4-H, or just a pet to add to your hobby farm, Dancing Cow Farms is here to answer any of your questions and help you meet your goals. Dancing Cow Farms is owned and operated by Randy & Jennifer Winchester, Emily Winchester and Nick Patton. Farm Highlights: view the fold by hay wagon ride, up close encounters with all the animals, interactive Bunny zoo for the kids and kids at heart, visit with Douglas County Conservation District representatives. C.W. and Mary Davenport moved to Lawrence in 1949, settling at the Jenny Wren Farm west of town where they raised apples, grain crops and cattle and ran a meat market and auction barn. C.W. retired in 1960, but soon discovered he needed something to keep him busy, so he bought farm ground east of Lawrence in the Kaw Bottoms area and set 74 acres of peaches and 6 acres of apples. The road bordering the farm came to be known as Peach Orchard Road (now County Road 1057 and/or East 1900 Road). C.W. and Mary's grandson Greg helped work the farm during the summer months and eventually took over operations when C.W. 's health no longer allowed him to work. Since then, Greg has added more apples and pears to the mix, then grapes because his wife Charlee thought "they looked so pretty." Given their respective German & Polish heritages, it was only natural that Greg and Charlee should begin making wine; first as amateurs, then commercially in August 1997. Greg & Charlee's intent is to make good wine from Kansas grown fruit, with minimal intervention, to allow the wine to express itself freely. On the edge of a glacial Moraine, resides a growing vineyard consisting of 8 varieties of grapes. A winery that showcases Kansas grape and fruit wines from Northeast Kansas and the Midwest. Their mission is to be positive ambassadors to our local wine,food,and tourism industry, support their fellow grape growers and wine makers, to educate enthusiasts about Kansas grapes and wines, and to produce exceptional wines! Their wines consist of dry reds and whites. They also offer their famous wine Slushie by the glass. Outside food, including take-out or pizza delivered from the local pizzeria is always welcome to enjoy alongside a glass or bottle of our wine. The winery features an outside patio with fireplace as well as a covered porch. Come and experience the Kansas countryside and get a taste for Kansas Wines. Follow us on Facebook get the most up to date info on music and events at our venue! A Happy stop on the farm tour! Even though berry picking season is over by October, autumn on the farm is wonderful. The 2018 tour marks the 2nd U-Pick music jam! Bring your own guitar/banjo/fiddle/etc and jam with the house band and make your own music! Remember to bring an empty container to fill up from the honey tap in the Honey Shack. Try out the apple press to make your own custom batch of cider and hang out by the bonfire. Food will be available thanks to The Pioneer 4-H club. Other folks joining us on the tour will be the Hippie Hut, Spinning Earth Pottery, Mindfully Made, Brownbag soaps. Happy Valley Farm and the Honey Shack are open to the public throughout the entire year. 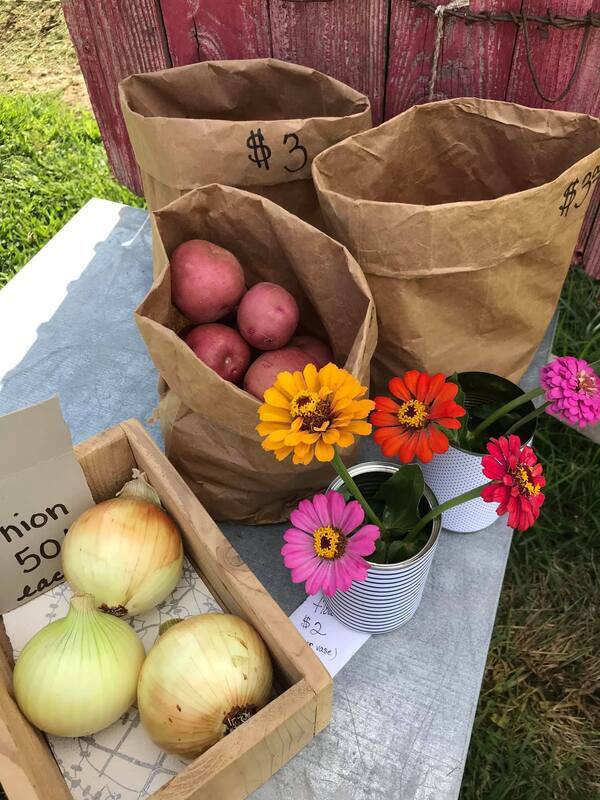 In addition to the U-Pick fruit, fresh produce and other goods from neighboring farms and local artists are always available, so stop in any time and support several local farm families in one stop. It’s like a farmers market 7 days a week. Appointments are required for pick your own berries. In the fall the focus changes to apples, pumpkins, straw and you can press your own cider. Honey from hives on the farm is delicious (from the pollen of berry plants!) and available all year - pre-bottled or fill your own container from the honey tap. Blueberries, grapes, blackberries, gooseberries, cherries, peaches, apples, plums, pears, honey, pollen, beeswax, cider, asparagus, rhubarb and more. Pioneer 4H Club will be providing lunch both days at Happy Valley Farm for the tour. Haven Pointe Winery LLC is a farm winery located in NE Kansas that specialized in making wine from Kansas grown produce. Located in southeast Douglas County, Haven Pointe Winery reflects the spirit of the Kansas River (“Kaw”) Valley – rustic, natural, and bold. Our mission is to provide a truly unique visitor experience that brings together great wine, good folks, and hands-on viticultural and enological knowledge. Haven Pointe Winery produces both red and white hybrid varietal wines. Our estate-grown varietals include Chambourcin and Traminette. We also make fruit wine as well as a variety of meads. Each of our wines features Kansas grapes, fruits and / or honey. Haven Pointe Winery produces both red and white French-American hybrid varietal wines. We also make fruit wine as well as a variety of meads. Our wines feature Kansas grapes, fruit and honey. Pendleton's Country Market is a diversified farming operation . The Pendletons planted their first half-acre of asparagus in 1980, and now grow a wide variety of vegetables, bedding plants and cut flowers. They operate a booth at the Lawrence Farmers' Market , a seasonal vegetable and flower market on the farm and a CSA program with 100 subscribers. For some crops, customers are invited to"pick-their-own", allowing families to enjoy the farm experience. Pendleton's Country Market utilizes integrated pest management, drip irrigation, minimum till, buffer strips, wetland and composting to produce their crops. They use only beneficial insects in their greenhouses for pest control. Farm Produce: Wide variety of fresh produce, asparagus to zucchini, flowers, bedding plants, pumpkin patch, Butterfly Bio, an up close view of the cycle of metamorphosis. Barnyard Weed Warriors is a traveling crew of 75 grazing goats used to control brush and weeds and will be visiting this location during the Tour. Check out the "greenest method" of all of clearing brush and weeds! $2 discount on butterfly villa, Wagon rides, pick your own pumpkin, Sunday Breakfast, Right hand turn maze, see high tunnels, farm equipment and a electric tractor, visit the country market. Located on 40 acres of rolling hills overlooking the Wakarusa Valley, Shooting Star Equine Rescue provides a safe haven for 15-25 equines at a time. Shooting Star began operating in 2001 and is a 501(c) (3) non-profit organization verified by the Global Federation of Animal Sanctuaries. Their mission is to offer rescue, rehabilitation, adoption or safe sanctuary to abused or neglected equines that come to the through owner surrender or animal control seizure. Many come in need of both physical and mental intensive care, and require months of care and training to rebuild strength, trust, and skills to help them become adoptable. Founder and President Careen Cain is a social worker therapist certified to provide equine psychotherapy intervention offered to children and adults with the use of rescued ponies, donkeys and horses. Shooting Star also has a team called "People Ponies" who are available to visit and provide hands on therapy within the community. Farm Highlights: meet the horses and learn how they are rehabilitated, Meet Duni the painting horse, volunteers on hand to educate and answer equine questions. Silver Dollar Farms is located on the beautiful Horace G. Lyon’s farmstead established in 1860. Horace and his brother were both captured during the time of the Civil War, but escaped their confederate soldier guards during a march to a southern military camp. Both brothers returned to what is now the Berryton area to build their respective homes. The house is on the National Historic Registry and is currently undergoing restoration, however the limestone barn and other outbuildings have already been fully restored. Now Silver Dollar Farms is honoring this heritage by offering farm raised products and sharing this beautiful place with the community. We offer many different services including private farm tours, event hosting, horse boarding, riding lessons, horse camps for children, goat yoga, pony cart rides, photo shoots, and animal husbandry lessons for all ages. Come out to see what this unique family owned farm can offer and visit with our many friendly animals. We have many different activities for all ages. 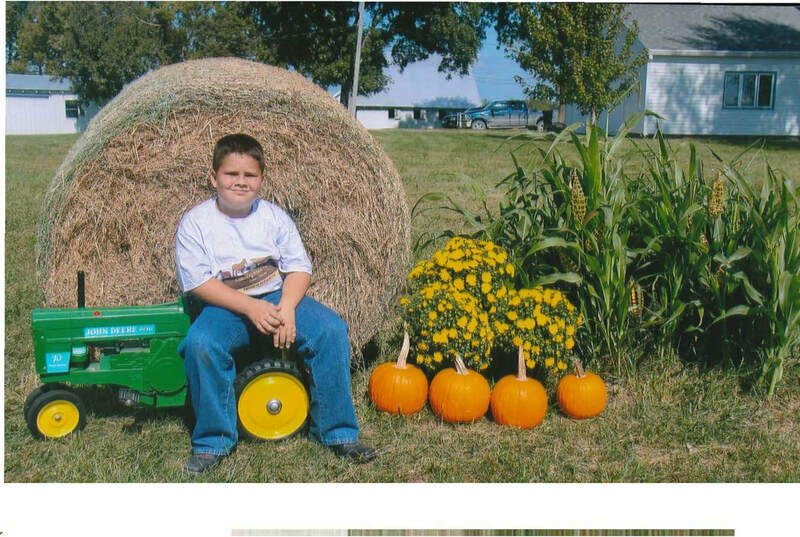 South Baldwin Farms is family owned and operated. Dave Miles has produced quality brome hay and maintained a small orchard for over 10 years. In 2014 Dave’s daughter, Katelyn, and son-in-law, Gabe, talked him into expanding the orchard from about 1 acre to approximately 35 acres. Planting of apples, peaches, and blackberries began in spring 2015. Our goal is to provide quality products using environmentally responsible and efficient growing methods. Visit with us about our technique, view our equipment and see how our cider is produced. South Baldwin Farms, located on the blacktop just south of Baldwin, is family owned with a focus on our high density orchard. Our goal is to provide fruit to the Lawrence and Kansas City area on a commercial scale. Visitors will see high density growing methods with dwarf fruit trees. Additionally, our fruit sorting line and cold storage facility, new for the 2018 harvest, will be open. We'll give hay rack rides on the hour through the orchard so you can see fruit from tree through harvest and sorting and on to packing for the stores. We'll run our antique mini hay baler and have tractors and equipment out for kids to see. Fresh apples, caramel apples, pumpkins, cold cider, and water will be available for purchase. Follow our Facebook page to keep up with the activities for the weekend. The Red Tractor Farm is owned and operated by Jessica Pierson and Jen Humphrey, who have been farming since 2008 on land that has been in Jessica's family for four generations. They raise Boer meat goats, laying hens and a diverse selection of vegetables that are certified organic. Red Tractor products are sold at the Lawrence Farmers Market, through Common Harvest CSA and to area restaurants. The farm is committed to sustainable agriculture practices that assure that land can support people beyond this generation, raising pastured livestock with respect for the animal, growing vegetables without chemical fertilizers or herbicides, and building a sense of community around local food. Farm products: goat meat, eggs, tomatoes, peppers, cucumbers, beans, radishes, greens, potatoes, onions, garlic, okra, beets, squash. Food Truck on site both days. Apothecary will have vegetarian options and a dish featuring RTF goat. 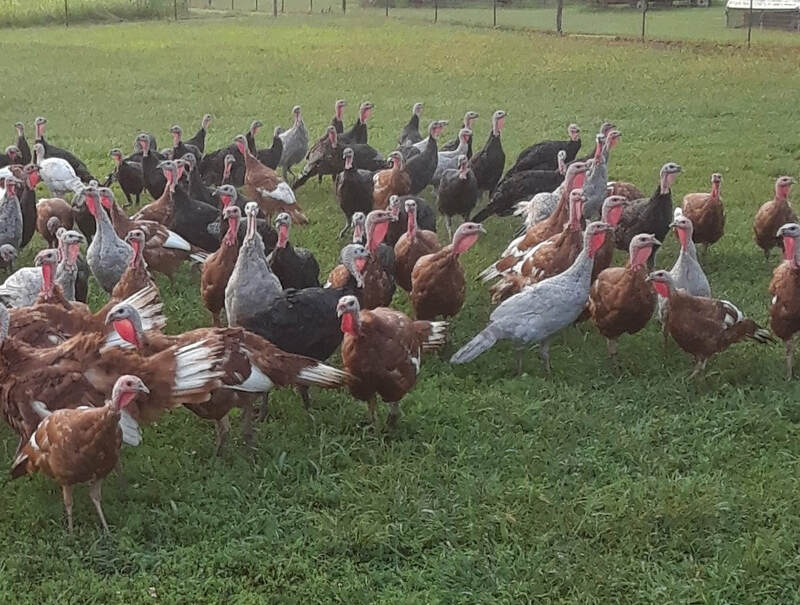 Vesecky's is one of the largest pastured raised poultry farms in Kansas. Their stone farmhouse was built in 1866, and added to in 1870, 1885, and 1980. Three generations of the Vesecky family work this farm and will be pleased to welcome you! See the poultry up close and get a general feel for the farm. Vesecky's raise chickens , ducks, geese, turkeys and guineas. Plus boer goats and a few cows.Holiday heritage turkeys, broad-breasted turkeys, ducks and geese are available at the farm all year by appointment. 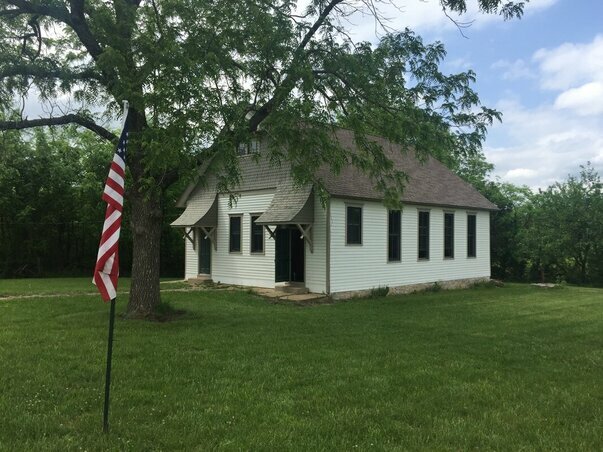 Farm Highlights: Saturday Breakfast, beautiful setting with 100 year old burr oak trees, historic gabled barn with quilt block, turkey, goats and interactive displays, hay wagon rides. Due to a family medical emergency the are forced to be closed unexpectedly! They will be handling their wonderful products just down the road at Red Tractor Farm 974 E 850rd. Just a mile North. We all wish the Wilson's quick healing! White Tail Run Winery and Vineyard was started in 2006 by Dan Fuller with the help of his wife Nancy, son Dusty, daughter-in-law Jennifer and daughter Christy. Dan had just retired and decided to grow grapes to keep him busy in his retirement. After growing grapes for a couple of years Dan decided to try his hand at winemaking. The first wine he made was from the Seyval grape. He entered the wine into a competition for amateurs and won a bronze. After the success of that first wine competition he started to make plans with his family to start the winery and vineyard full time. We now have 5 acres of vines with 4 different varieties of grapes.